Health care is undergoing profound changes around quality and cost effectiveness. 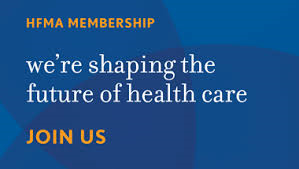 Join the premier membership organization for healthcare financial management executives and leaders. With more than 600 members in Wisconsin and more than 40,000 national members. Your Certification Committee has retooled the training and educational programs for the CHFP Exam to make it accessible, meaningful and almost free! Accelerate your career with expertise and credentials that are relevant to hospitals, medical groups, vendors, advisors and colleagues. HFMA’s The Business of Health Care presents the comprehensive analysis of today’s healthcare environment and provides a broad overview of the shift in healthcare service delivery and evolving payment models. The course offers participants the unique opportunity to expand their breadth of industry understanding and sharpen their ability to engage in healthcare business issues. NOW is the time to take advantage of this opportunity and become certified! The Chapter is offering significant financial support in 2018 so why wait to “Do For Yourself”?